Noria Mabasa had no formal institutional art training but did receive local training in the making of clay pots. Like many other rural artists she explains that the source of her creativity lies in dreams and instructions from an ancestor. In the early 1980s Mabasa was commissioned to make a set of clay figures for the then Venda Development Corporation. At about the same time she started making single free-standing figures that are about a metre high and face forwards with no shifts and turns in their bodies. Sometimes they make a small gesture like lighting a cigarette. This style is partly due to the limitation of the coarse clay and the traditional technique adopted for making pots – piling up and then smoothing rolls of coiled clay until the form was complete. The whole was then fired in an open pit. Mabasa applied commercial paint to the baked form to add detail and difference. It is in the subject and surface that Mabasa departed from tradition. The figures are recognizable although the proportions are unnatural – the heads, for example, are oversized – but they have a charm and appeal and were much in demand during the 1980s and early 1990s. 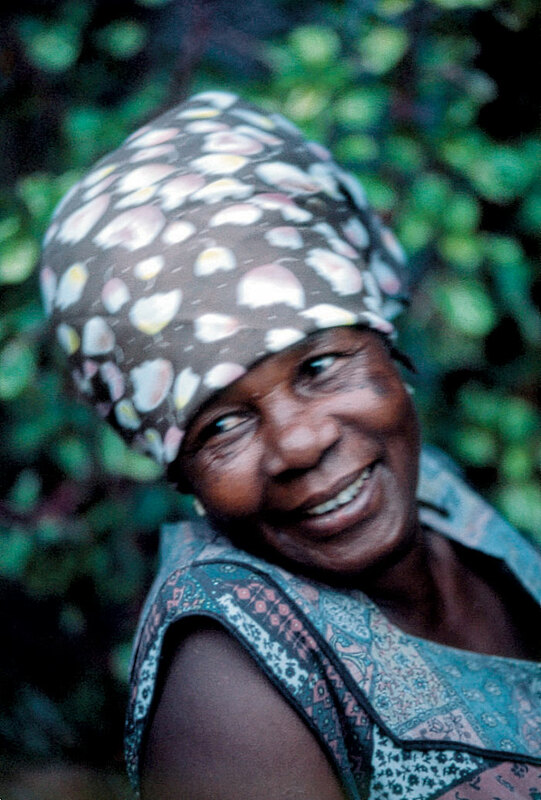 Most are generic types and only a few are portraits such as that of Chief Mphephu – about whom she had dreamed. Men and women are dressed differently; the men are invariably in western style suits or in jeans and T-shirts, while most of the women are dressed in traditional costume. The women who do wear western dress occupy positions outside of the accepted rural ‘norm’. They are the nurses, prostitutes and white women in her cast of characters. Mabasa’s work changed significantly when she started to carve in wood. She recounts that she dreamed of a piece of wood washed up by the floods at the time, and was instructed in the dream to collect and carve it. The next day she found the exact piece of wood she had dreamed about. Mabasa also provides a more practical explanation; wood is more permanent and does not break as easily as clay. The new medium, however, offered other opportunities and created the space for artistic growth and development. She developed new themes and realised them in more complex compositions. Feeding into this change was also the fact that there was an abundance of wood in her region and many woodcarvers lived nearby. Born 1938, Xigalo (pronounced Shigalo), Limpopo. Lives and works in Vuwani near Thohoyandou. Exhibitions 1984: VhaVenda group exhibition, Sun Hotel, Thohoyandou. 1985: Tributaries, Africana Museum in Progress, Johannesburg and Munich, Germany. 1986: Parade (solo exhibition), Goodman Gallery, Johannesburg. 1987: Vita Art Now, Johannesburg Art Gallery; Figurative Ceramics and Decorative Textiles, Iziko SA National Gallery, Cape Town. Cape Town Triennial, Iziko SA National Gallery, toured major centres in South Africa. VhaVenda, Standard Bank National Festival of the Arts, Grahamstown. 1988: Clay + UNISA Art Gallery, Pretoria; The Neglected Tradition, Johannesburg Art Gallery. 1989: Images in Wood, Johannesburg Art Gallery; Ten Years of Collecting, University of the Witwatersrand, Johannesburg. 1990: Group Exhibition, South African Association of Arts, Pretoria; Art from South Africa, Museum of Modern Art, Oxford, United Kingdom. 1991: Town/Country, Everard Read Gallery, Johannesburg. 1992: Ceramics in South Africa, Tatham Art Gallery, Pietermaritzburg; New Acquisitions, Iziko SA National Gallery, Cape Town. 1993: Emhlabeni: From the Earth – Pottery and clay from SA, Standard Bank Gallery; Group show with Helen Sebidi and Lucky Sibiya, Everard Read Gallery; Southern Cross Exhibition, Stedelikje Museum, Amsterdam, The Netherlands; Incroci del Sud, Venice Biennale, Italy. 1994: Venda Exhibition, First Johannesburg Biennale. 1995: Panoramas of Passage: Changing Landscapes from South Africa (toured the US for three years). 1999: University of the Witwatersrand Art Gallery. 1995: Siyawela: Love, Loss and Liberty in SA Art, Birmingham, UK, Africa ’95 Festival and on its return, at the University of the Witwatersrand, Johannesburg. 2000 onwards: Group Exhibitions, Mukondeni Fine Arts, Johannesburg. 2001–2003: Motho ke motho ka batho (see Seoka). Collections Department of Arts and Culture, South Africa; Guildford College, USA; Johannesburg Art Gallery; Leshiba Wilderness, Limpopo; Museum of Modern Art, Oxford, UK; Pretoria Art Museum; SABC, Johannesburg; Sandton Convention Centre; Iziko SA National Gallery, Cape Town; Tatham Art Gallery, Pietermaritzburg; University of Fort Hare; University of South Africa; Wits University (Standard Bank Collection); University of the Western Cape; William Humphrey Art Gallery, Kimberley. Photograph of Noria Mabasa. Courtesy of Neil van Kraaienberg, Gallery 181, Johannesburg.